It is 1324, and a disastrous autumn looms large, for as the leaves begin to fall there are those who wish to bring down the Kingdom as well. In Dartmouth, a man is found lying dead in the road. But the inhabitants of this little haven dismiss his death as a drunken accident, their attention turned to more worrying matters - piracy. A ship, the St John , has been discovered, half ravaged and the crew missing, in an attack that bears all the hallmarks of the supposedly disbanded Lyme Pirates. Could this be the beginning of a vicious onslaught, or is something even more sinister happening? Sir Baldwin de Furnshill has been told by Bishop Stapledon of spies being sent to the great traitor Roger Mortimer. If this is true, and messages are reaching Mortimer, civil war in England is inevitable. And so the Kingdom's most powerful and ruthless men demand that Baldwin and Bailiff Simon Puttock uncover the truth, and quickly. 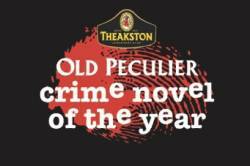 The Death Ship of Dartmouth was shortlisted for the Theakstons Old Peculier Crime Novel of the Year Award. Read Michael Jecks's newsletter in which he describes this 21st mystery in the Knights Templar series as "my coming-of-age book" - and see what else he has to say about The Death Ship of Dartmouth. "The writing is fiercely unsentimental, the plotting complex and the characterisation pleasingly contrary. What impresses the most is the fine details of historical accuracy. There are no easy answers here and it isn't meant to be so. He makes the reader feel that if there was actually a time machine to travel back in time they'd immediately get into it to savour the period for themselves"
The Kindle edition is now available for download. Order the paperback (ISBN: 978-0-7553-2302-9). Also available on CD as an audiobook read by Michael Tudor Barnes; order it direct from the publisher. Owing to a number of coincidences last year which didn't help authors or booksellers, a few books which were to have been sold - weren't! If you are one of those enormously unlucky people who really, really wanted a copy of The Death Ship Of Dartmouth, as shortlisted for the Theakston's Old Peculier Crime Novel of the Year 2007, and failed, you can have a special, signed edition straight from the author's desk for a massive 25% discount plus £2.00 postage and packing (UK - foreign is OK too, but I'll have to work out costings separately).